Description: Hosted by Rob Reiner. 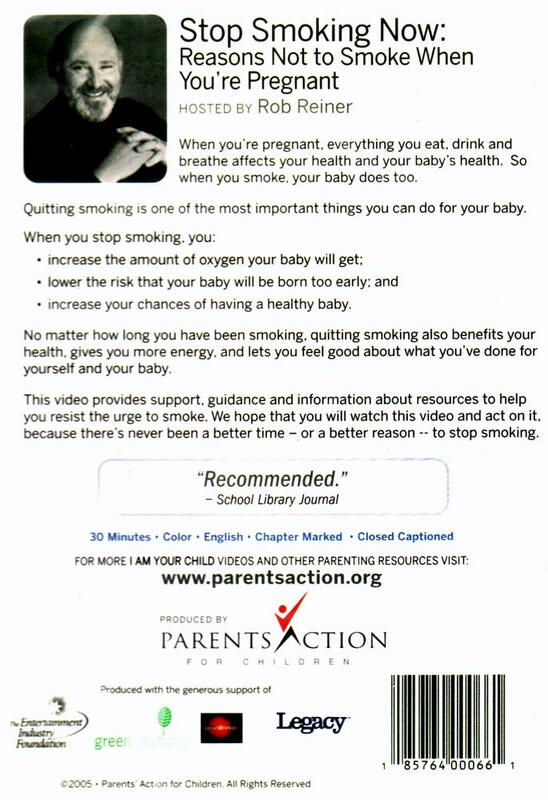 The DVD explains the reasons not to smoke when you're pregnant, and provides support, guidance and other information to encourage pregnant women to stop smoking for the health of their baby- and themselves. 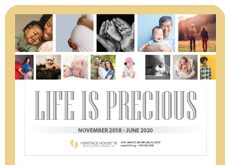 Developed in associaton with the American Legacy Foundation. Such good and helpful information to have available for our clients who smoke. They really understand why they shouldn't smoke. Wonderful information! 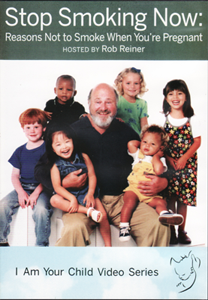 We show this not to just moms but dads, teens, grandmas, grandpas and all caregivers. Great for programs, training teen for babysitting jobs. This message is vital to get out there. Smoking is very harmful to unborn and all those living. We use it extensively in Our Pregnancy Care Center. The video is mostly effective when introducing the idea of stopping smoking, but it is a little boring. Our clients are also impressed by the second hand smoke effects during and after pregnancy-- even if they don't smoke themselves, they want to be more careful about exposure after this lesson. The DVD and worksheet in Lesson 2.1 EWYL give good information about the effects of smoking on babies. Clients are surprised to find the many negative effects - not just before birth but as the child grows. I would love to see a new DVD come out with even more current information. We appreciate that this video starts out gently, not scolding or shaming our smoking clients, but stating the facts and giving them ideas and incentives to stop smoking. Many clients have cut back or stopped smoking after watching this video. The illustration of the fetus puffing away on a cigarette really captures the attention of our EWYL clients. We have free brochures from the American Cancer Society which we give when we present this lesson. Many of our clients are surprised to learn about the negative effects that smoking can have on their baby before and after birth. It motivates our clients to put more thought into quitting smoking.